creating for this months ps bt was a bit of a struggle. 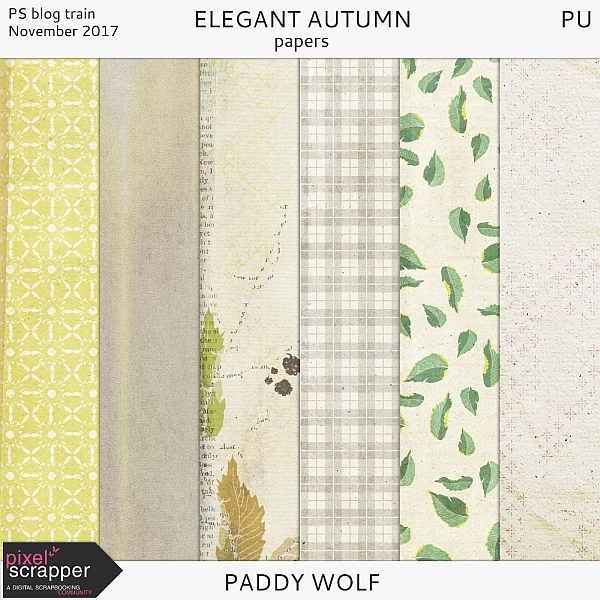 i wouldn't say "elegant" is really my style and the color scheme reminded me more of "fresh, breezy spring" than "autumn", but i was determined to work on some ideas anyway. perhaps steer a bit away from my usual expression. but still create a kit i'd like to scrap with myself. have a wonderfall november, give lots of thanks and don't dry out the turkey! your work is SO beautiful!!! thank you! 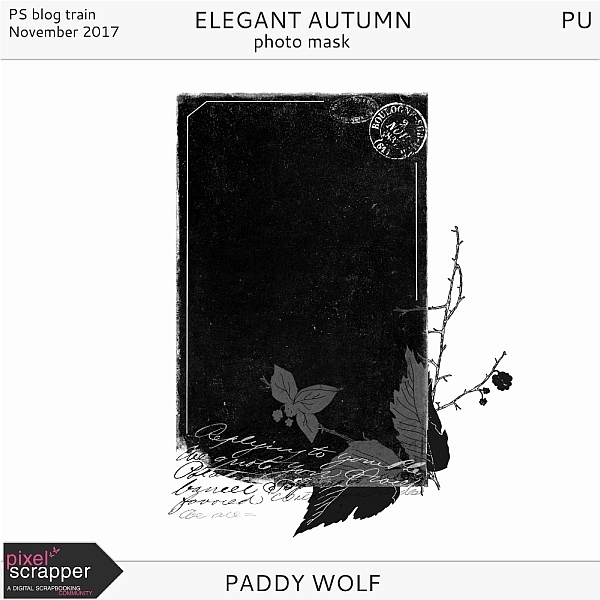 I saw a lovely layout in the Pixel Scrapper gallery and just had to come visit your blog and down your lovely designs. thankyou. Thanks Paddy, I love your contribution. You have a very unique style that I love. A lovely collection; thank you for sharing! This is fantastic ! Thank You very much! Thank you Paddy! What a beautiful contribution to this months blog train! And I have a special thing for blackberries so I really love those little touches! Thanks for this delightful kit. I love your mask! Великолепный набор и маска- супер!!! Большое спасибо! Great contribution! Thank you so much, Paddy. Love it, very unique.